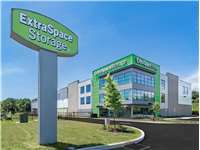 Located on Chester Pike just north of I-95, Extra Space Storage serves residents of Crum Lynne, Woodlyn, Eddystone, Chester, Ridley Park, and more. Locals will recognize our facility near Ukrainian Baptist Church. Are you a college student who needs self storage over the summer or while studying abroad? Extra Space Storage is about 1.3 miles from Widener University and 3.1 miles from Swarthmore College! Extra Space Storage on Chester Pike can accommodate residential and commercial storage needs in Crum Lynne with a variety of storage units, climate-controlled storage, drive-up access, and exceptional security! Our Chester Pike storage facility has unit sizes from 25 square feet to 300+ square feet with drive-up access, first-floor access, and elevator access. We have the storage space that will work for you! We've equipped our Crum Lynne storage facility with security measures like 24-hour video surveillance and electronic gate access to provide peace of mind for customers. Worried about storing sensitive items? Protect them from extreme cold and heat year-round with climate control. This amenity keeps your unit between 55 and 80 degrees at all times. With a drive-up storage unit, you can move large, heavy items in and out without difficulty. Simply pull a vehicle up to your unit for quick, easy unloading and loading! 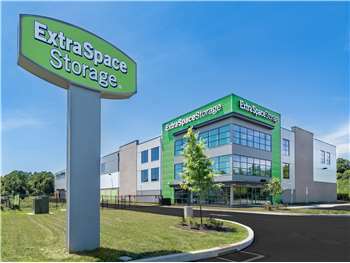 At Extra Space Storage, we strive to deliver dependable self storage backed by exceptional customer service. Our friendly, professional staff is happy to help with whatever you need, and our facility is always clean, secure, and well-maintained. Contact us today to reserve a storage unit in Crum Lynne! Crystal the manger was very helpful, and very easy to work with. Easy to get my belongings into the storage unit with help from the carts they provide, the hall ways to the units are well lit, dry and clean. Very nice inside and the people are very nice helpful and professional. The location is great and customer service is wonderful. Storage area is clean and nicely well kept. Perfect also for temporary storage situation. Price rates are competitive. Those that chose Extra Storage Space will not be disappointed. Easy storage is a nice storage your things are safe and well protected thank you easy storage.if i had to rent again its going to be with them. The price is right and they are nice a corteous. I came in worry about prices and if I would have enough money to store my belongings. Their prices are decent the place is highly secure and very well clean which makes me more comfortable and secure with my belongings. They have decent prices for insurance and the staff is super friendly. I highly recommend this place to store your belongings.